Volvo Penta will use its tried and tested Selective Catalytic Reduction (SCR) technology for Indian OEMs when the stringent BS (CEV/Trem) IV emission regulations come into effect in October 2020. Selective Catalytic Reduction (SCR) technology was first developed by Volvo Group in 2006. In 2011, Volvo Penta introduced the system for industrial off-road customers, further developing it in 2014. Today, Volvo Penta continues to meet tomorrow’s environmental demands, as the same technology will now be used to comply with the stringent BS (CEV/Trem) IV emission regulations, effective October 2020. For original equipment manufacturers (OEMs), this means no re-generation, easy installation, continuous optimized fuel consumption and low operating costs. For the Indian market, the current emission legislations applicable for off road vehicles is BS (CEV) III from 2014, covering limited applications. Now, as announced by regulatory authorities, BS (CEV/Trem) IV will be enforced from October 2020 and will cover most of the off-road applications. 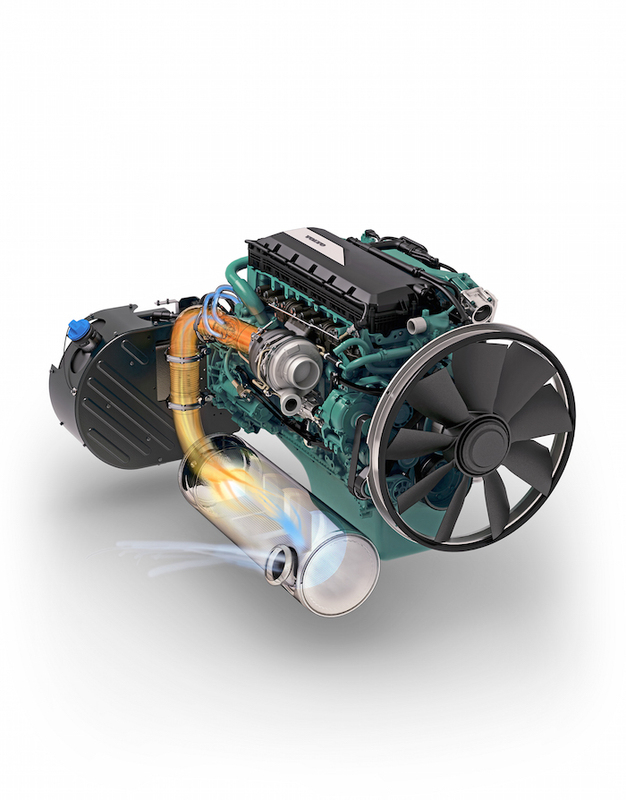 With the introduction of BS (CEV/Trem) IV, all engine manufacturers are required to introduce aftertreatment systems for engines between 129kW to 560kW. This, in turn, will put enormous demands on OEMs, forcing them to re-design their machines to install new engines and aftertreatment systems. Volvo Penta’s strategy is to keep these changes as simple as possible for Indian OEMs. Volvo Penta’s proven Selective Catalytic Reduction (SCR) technology complies with BS (CEV/Trem) IV emission regulations without using a separate diesel particulate filter (DPF) or diesel oxidation catalyst (DOC). The SCR system is based on high-efficiency combustion, which reduces the fuel consumption and results in extremely low levels of particulate matter (PM), but also in high levels of nitrogen oxides (NOx). Here, the ingenuity of the system is revealed: the exhaust NOx is converted into harmless nitrogen gas and water vapor. The SCR system automatically injects diesel exhaust fluid/urea to the exhaust gases. The gases are then passed through a catalytic converter before it is emitted to the environment. The extremely low levels of particulate matter in the emissions also make exhaust gas filtration (DPF) unnecessary. Volvo Penta has similar engine footprints for all emission standards. As a result, the OEMs already using Volvo Penta BS (CEV) III engines will have no trouble changing to a BS (CEV/Trem) IV model, as the SCR catalyst will simply just replace the current silencer. It will also allow for lesser regulated export markets to be served without need of engine room redesign, and can be considered futureproof against the inevitable BS (CEV/Trem) V regulations. Volvo Penta is showcasing its BS (CEV/Trem) IV technology in a dedicated “Area for the Future” at the Volvo Group stall (OF-23) at bauma CONEXPO INDIA 2018, taking place at HUDA Ground, Gurgaon, Delhi between 11–14 December. OEMs and operators are encouraged to view and discuss the Volvo Penta engines and technology that are on display.